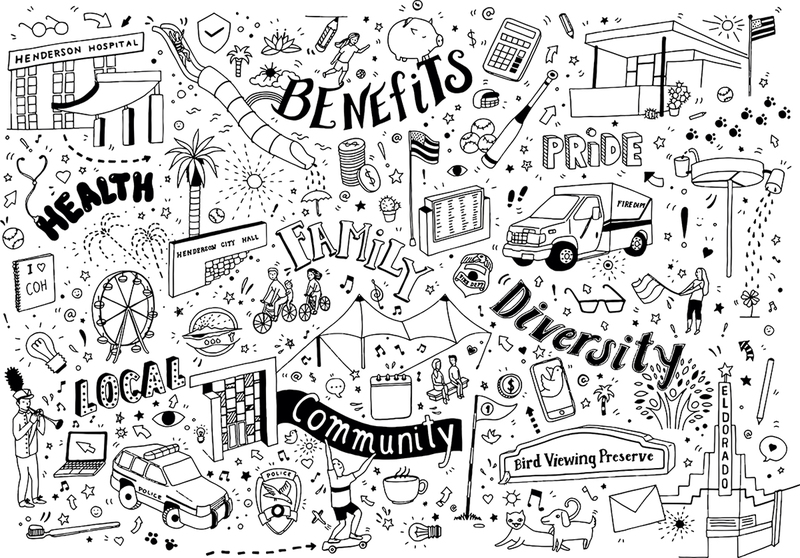 Cristina Guitian was commissioned by Gallagher Communication to illustrate Henderson City Council's guide to employee benefits. Cristina's artwork conveys the energy and vibrancy of the city as well as highlighting opportunities for the Council's staff; perfectly setting the tone for the print and online campaign. To see Cristina's portfolio, click here. Cristina Guitian is represented by Meiklejohn. Published on 24 May 2018.